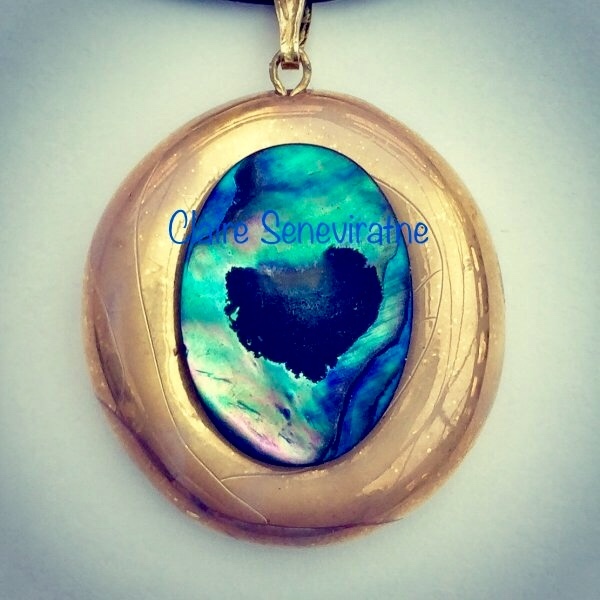 Claire Seneviratne - Ceramic Artist: Natural love heart abalone shell and gold lustre pendant. Natural love heart abalone shell and gold lustre pendant. An abalone shell has been attached to a gold lustre porcelain base with an adjustable leather thong. I LOVE the natural love heart on the abalone shell!